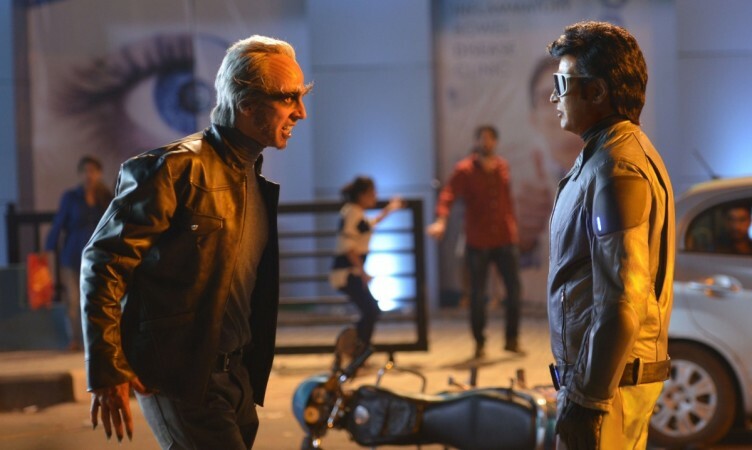 Rajinikanth and Akshay Kumar's 2.0 has done a good collection at the Chennai box office on its 10th day. Shankar's 2.0 has crossed Rs 1-crore mark once again in a single day at the Chennai box office. The Rajinikanth and Akshay Kumar's movie has made a good collection on Saturday, 8 December, in the capital city of Tamil Nadu. On it 10 day (Saturday), 2.0 registered its best occupancy rate in cinema halls across the city in this week. Matinee and evening shows had family audience thronging into theatres in good numbers. As a result, the science-fiction made a collection of Rs 1.32 crore in Chennai. The 10-day total collection of 2.0 in Chennai now stands at Rs 16.89 crore. It is now set to shatter the record of Baahubali 2 which had minted a little over Rs 18 crore in its life time. The record is likely to be broken on Sunday to become the second highest-grossing movie in Chennai after Rajinikanth's earlier movie Kabali which had raked in over Rs 24 crore in its lifetime. The film, which saw the light of the day in over 600 screens in Tamil Nadu, has not been impacted by the new releases. The Lyca Producitons-funded movie did a decent business across the state on Saturday. So far, the estimated collection of 2.0 is said to be around Rs 80 crore in the state. Whereas the worldwide collection of 2.0 has breached Rs 500-crore mark. It is a crucial week for the Shankar's film, which has Akshay Kumar and Amy Jackson in key roles, as the movie should do well in order to become a profitable venture for the distributors.